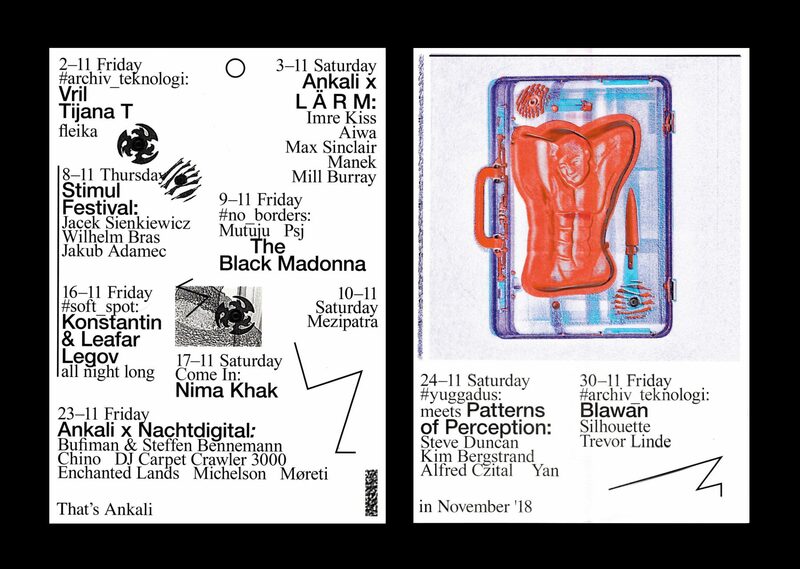 Yuggadus is back on November 24th, this time hosting the Berlin party series Patterns of Perception. Expect an extended trip to the deepest corners of hypnotic Techno courtesy of Steve Duncan, Kim Bergstrand and locals Alfred Czital and Yan. Patterns of Perception parties are held in the white-tiled one-room club Ohm in Berlin, and their sonic focus is relates strongly with that of Yuggadus: “Patterns of Perception embodies experimental textures and deep atmospheric sounds, inspired by the dissonance between the natural and the industrial.” Representing the night will be the residents Steve Duncan and Kim Bergstrand. Joining them will be Yuggadus residents Alfred Czital and Yan.